Specializes in treating mood disorders such as depression and anxiety in adults and working with couples through relationship issues. Katelyn Sternberg joined Christian Family Solutions in 2017. She earned her BS in Psychology at Minnesota State University, Mankato. She received her MS in Mental Health Counseling at Minnesota State University, Mankato. Katelyn has experience working as a behavioral aide for children struggling with trauma-related disorders. She also provided services at a marriage and family therapy center, working primarily with couples and adults, and she also facilitated a weekly DBT group session. 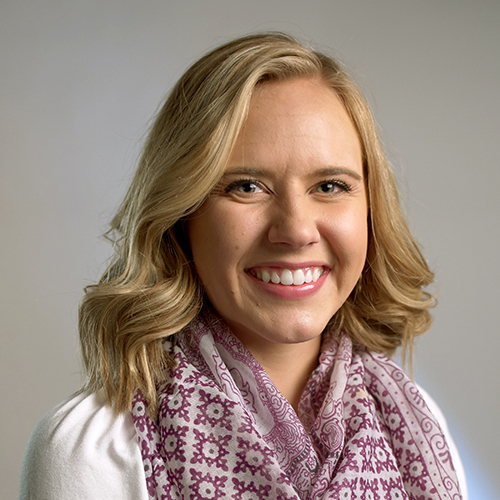 In addition, Katelyn taught an undergraduate class at Minnesota State University, Mankato to assist college students with decision-making and problem-solving skills for the future, as well as facilitated a group experience for graduate students exploring self-growth concepts.